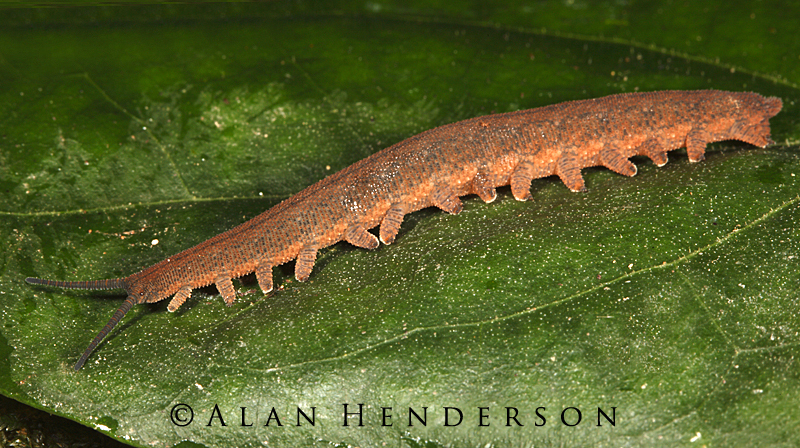 In the last couple of weeks we have encountered several velvet worms (Onychophora); primitive predatory invertebrates which are though to have originated over 500 million years ago. 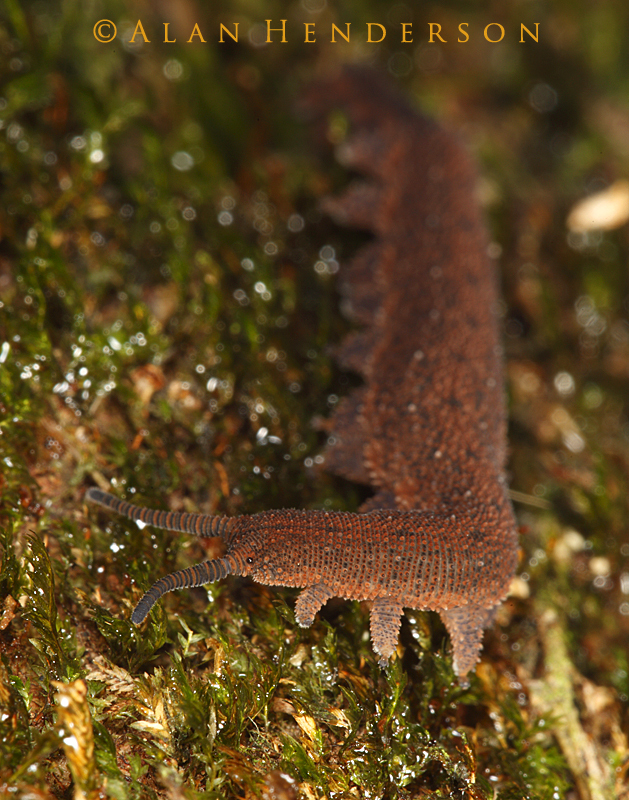 They are believed to be the forerunners to arthropods, but unlike today's arthropods, the velvet worm has no hardened exoskeleton. Its skin is composed of a membrane of dead cells covered in tiny hairs, which are in themselves covered in tiny scales that give it the appearance and feeling of velvet. These hairs function in a sensory capacity and respond to touch. This covering is also water-repellent, which makes it perfect for living in a very moist environment – seconded by its inability to regulate water loss. 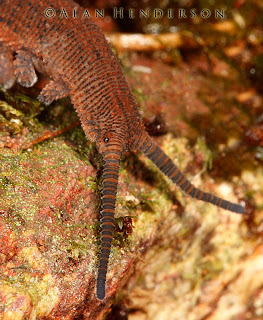 It is therefore very easy for a velvet worm to succumb to desiccation, and as such, it is only found in tropical and temperate rainforests. 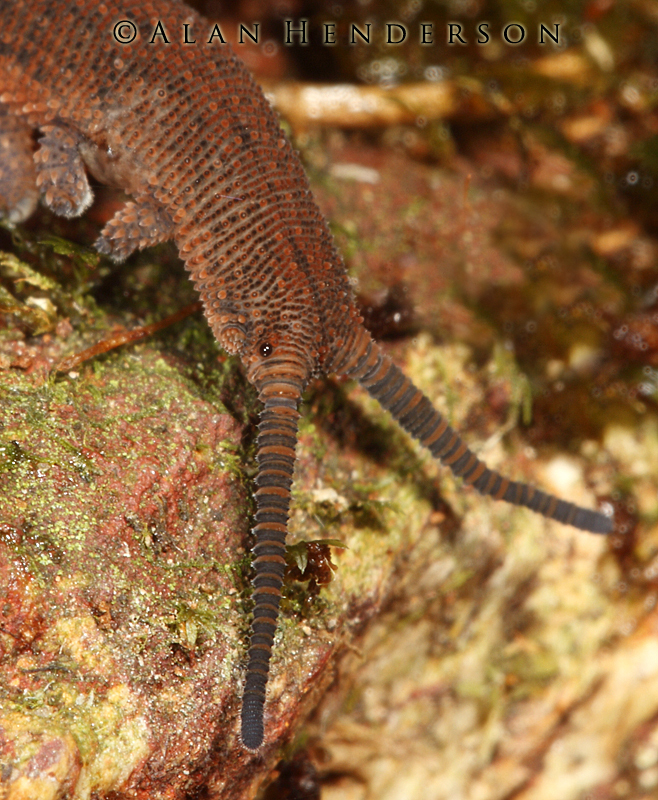 A close up of the face; a 'nozzle' for spurting the sticky liquid can be seen just beneath the eye. One of the most remarkable things about this minute predator is its method of attack. 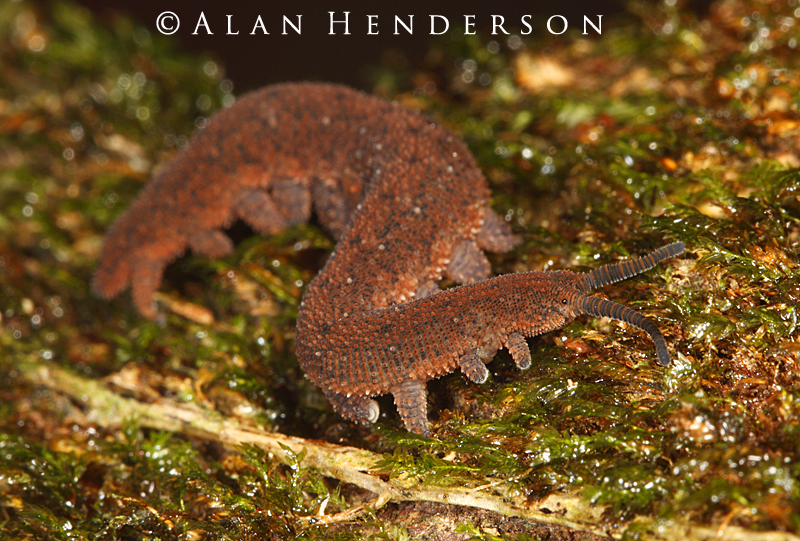 It shoots twin streams of a sticky liquid at its prey from nozzles either side of its mouth. The liquid transforms to a bonding gel on contact with the prey as a chaotic mix of proteins within the substance combine and react. The result is dramatic, the prey is usually securely bonded to the surface it is on, and all the velvet worm needs to do is wander up and consume it at its leisure. The one in the photo below actually shot glue on my finger when I first picked it up. I noticed an immediate chilling sensation as the liquid hit and reacted; I then spent a minute or so picking off all the sticky material!